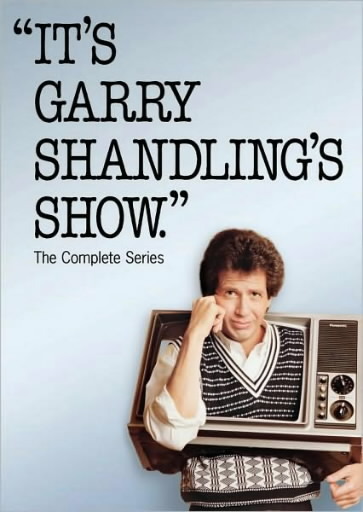 …and he agrees with me that It’s Garry Shandling’s Show is one of the greatest gifts of the 80s. Because the entire series is on DVD!! Hello, Christmas list! Best theme song lyrics of all time! Final Jeopardy question of the day: This born-and-bred comedy nerd had a Garry Shandling poster in her room circa 1987. This entry was posted in Funny Stuff, People Who Rock, Pop Culture. Bookmark the permalink. i saw garry doing the late-night talk-show circuit pushing these dvd’s. can you believe how many episodes there were? i LOVED this show way back then. OMG, I saw Garry pushing the DVDs on Conan…he has had terrible plastic surgery!!! Horrifying!!! I totally forgot the show was on for as long as it was…it seems like it was off the air after it barely began. I love that you love Garry. 🙂 Soul sister.